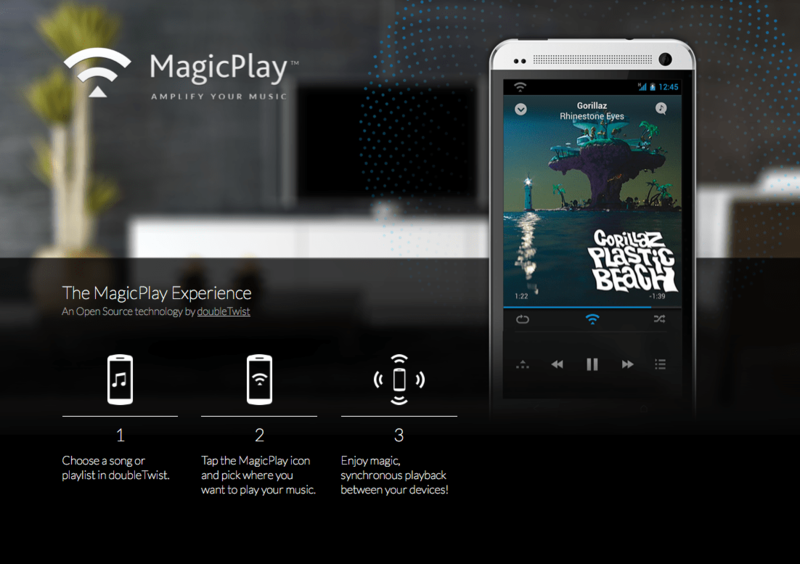 Qualcomm and DoubleTwist teamed up to make a more open standard for streaming music across devices and as a result of this, MagicPlay emerged. This open source standard will give users a new way of listening to music on their wireless speakers of streaming it to other devices, similar to Apple’s AirPlay functions. The technology of choice so far was Bluetooth but MagicPlay is promising better sound quality and stabile connections. Unfortunately, MagicPlay won’t do video sharing nor screen sharing. Hopefully will the lack of licensing fees set some accessory makers in motion to soon deliver us some MagicPlay speakers. Do you see possibilities for this new way of streaming music? Let us know in the comments below!